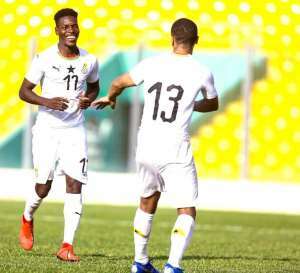 AFC Wimbledon striker, Kwesi Appiah has expressed satisfaction after scoring in Ghana's 3-1 win over Mauritania on Tuesday. The former Crystal Palace man has struggled with injuries but have managed to rediscover his form and was on the scoresheet for the country. "Glory to God! 2 Wins and a Goal! It was a pleasure!," he posted on Twitter. Appiah will be hoping to earn a call up to the Black Stars ahead of the 2019 Africa Cup of Nations in Egypt. The tournament will kick off June 21 to July 19.